Up this week is Rachel Aberle of ARNA Photography located in Green Bay Wisconsin. 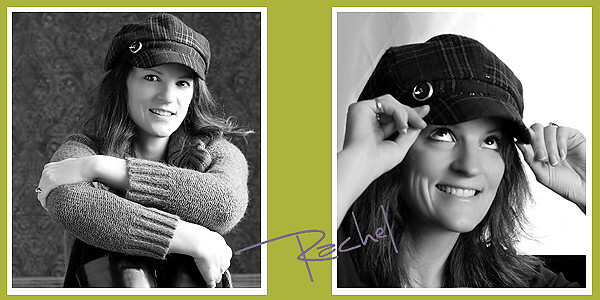 Rachel has gorgeous rich images with a fun, funky edge to them. You can see her latest work on her blog. 1) Why do you love this image? I absolutely love the romantic feel to it. They were such a connected couple, really in tune to each other. 3) What do you love about Photography? I love that photography can draw a viewer into the picture. Looking through a book of Annie Leibovitz, you can stare for hours at some of the images she captured. Sometimes its just that glance back from the subject that draws you in or shapes and lines within the picture that are captivating. With kids, I find this can be so much fun to capture as they tend to wear their feelings and emotions of the day on their sleeves. You are drawn right into their silliness, reflectiveness or whatever they may be feeling that day. 4) What type of Photography do you specialize in and why? I specialize in families, children and seniors and will be adding newborns soon. Families purely to see that connection. What a enjoy to capture. Children for their personalities and fun. Seniors because they just rock! 5) What are your favorite hobbies and pastimes? Well, my husband and I used to golf a lot before kids. Now when I get free time, I love to read a good book. 6) Who or what inspires you? There are just so many that I find inspiring. I think mostly I would say were other photogs that I have become friends with. I have learned so much from others and am loving this journey that we are on together. 7) Who are some of your favorite singers/bands? I am not monogamous when it comes to music, lol. I'm a bit of everything and switch around a lot. I get in the mood for rock, then at times soulful or country. Whatever strikes the mood I guess. 8) What is your favorite movie of all time? Bridget Jone's Diary! 9) What would your ideal day be like? A day when I can sleep in a bit. Then spend the morning having a cup of coffee and hanging out with my kids. I would then go for a nice lunch with the family and sneak in a photoshoot in the late afternoon with some gorgeous early evening light. Then relax with a movie in front of the t.v. with the hubs. 10) If you weren't a photographer, what other profession would you like to pursue? I always wanted to be a writer. Check back next week to meet Anelle Richardson.